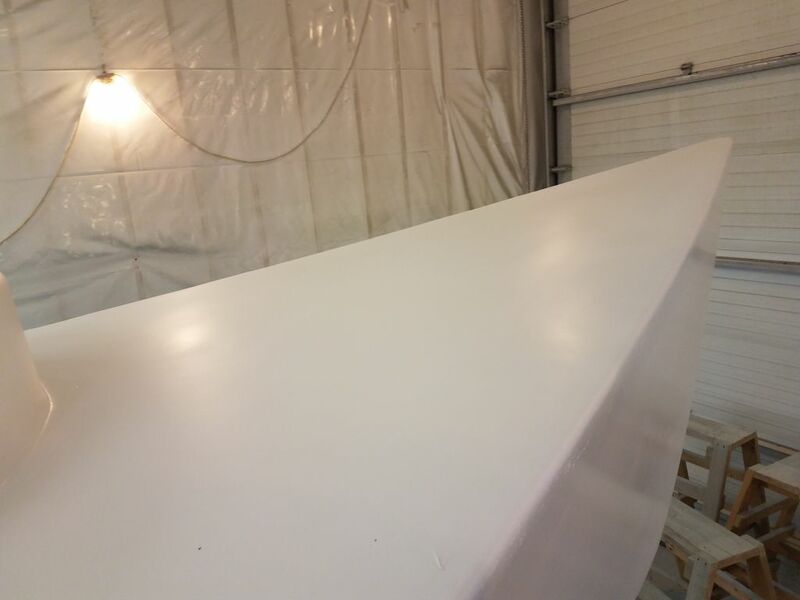 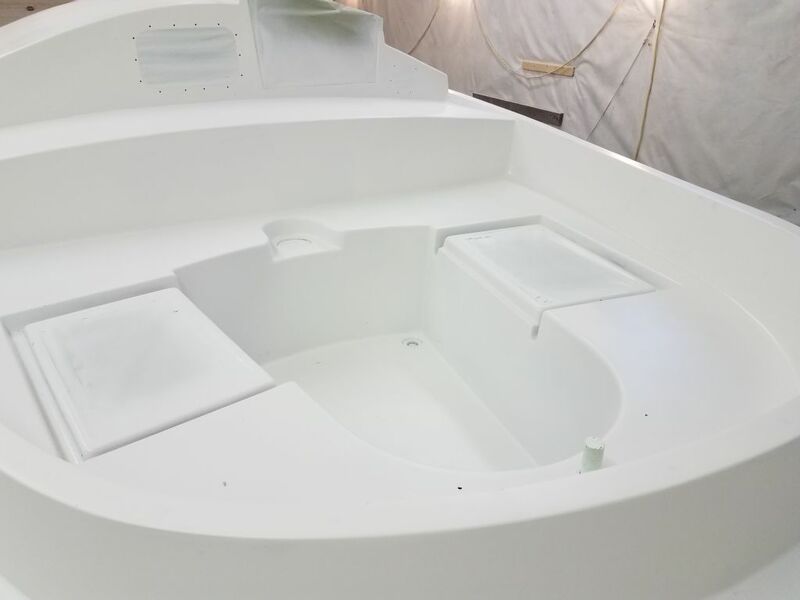 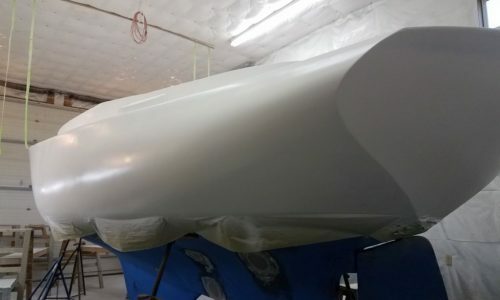 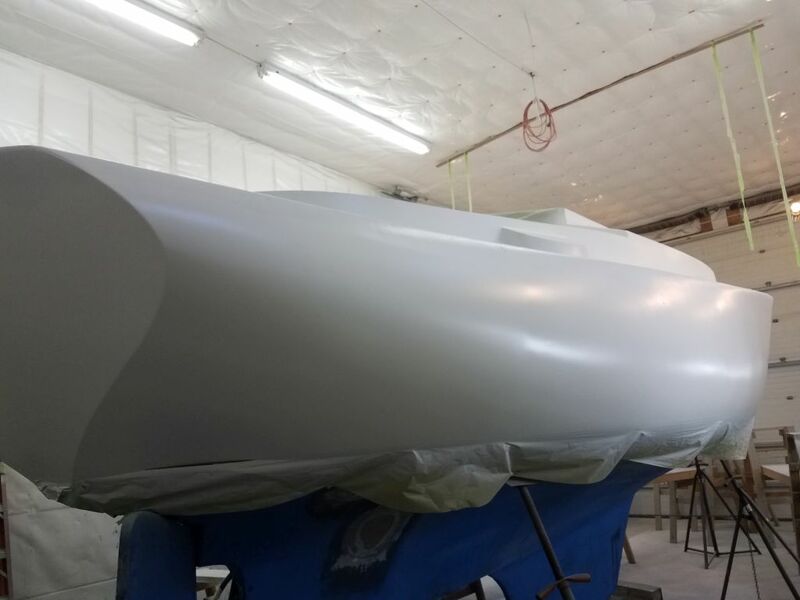 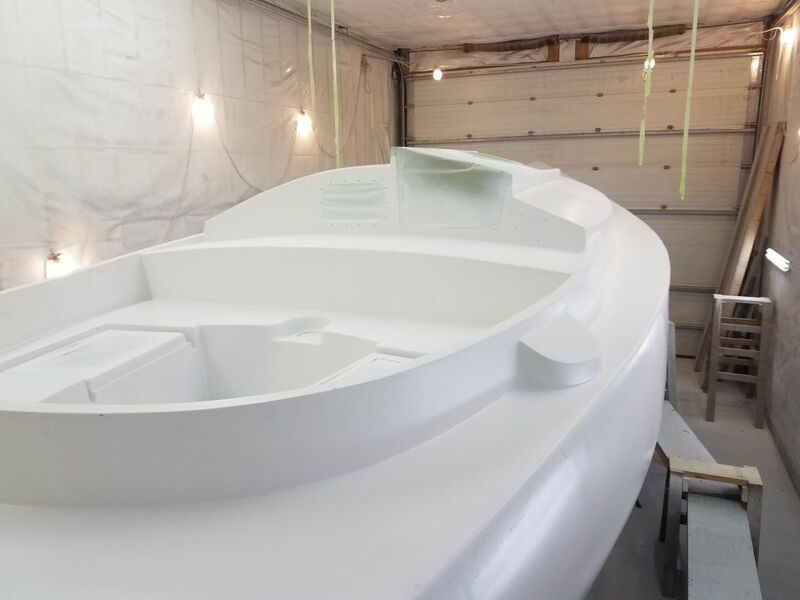 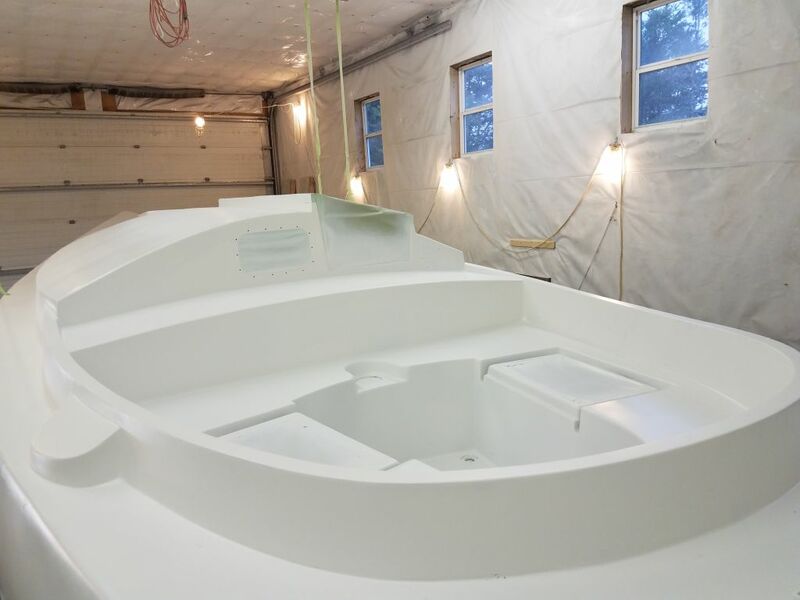 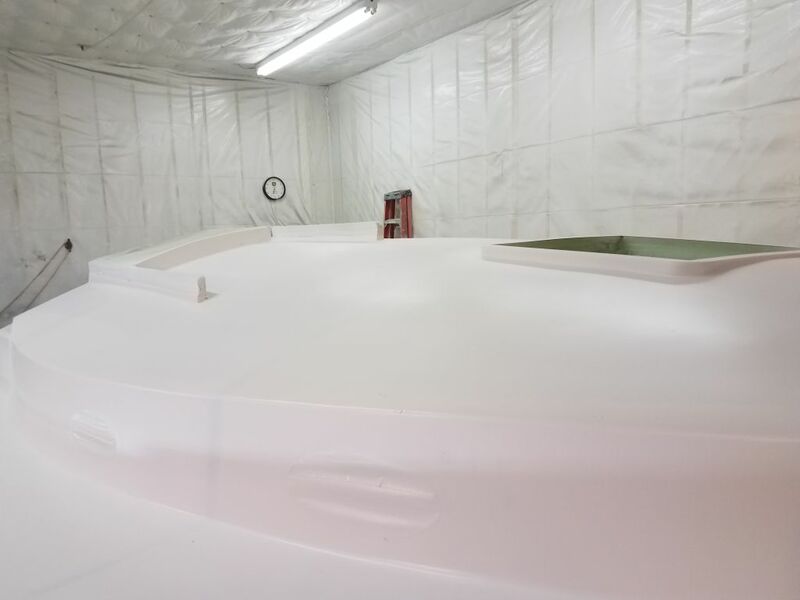 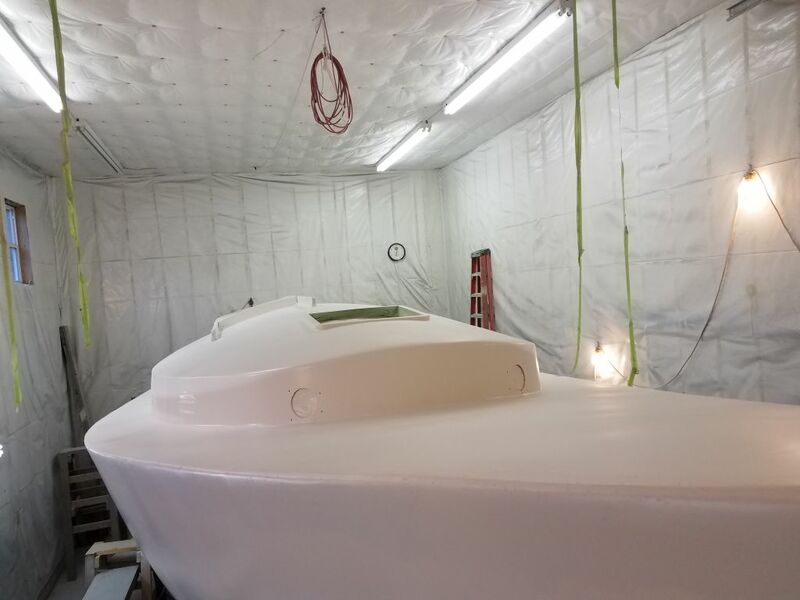 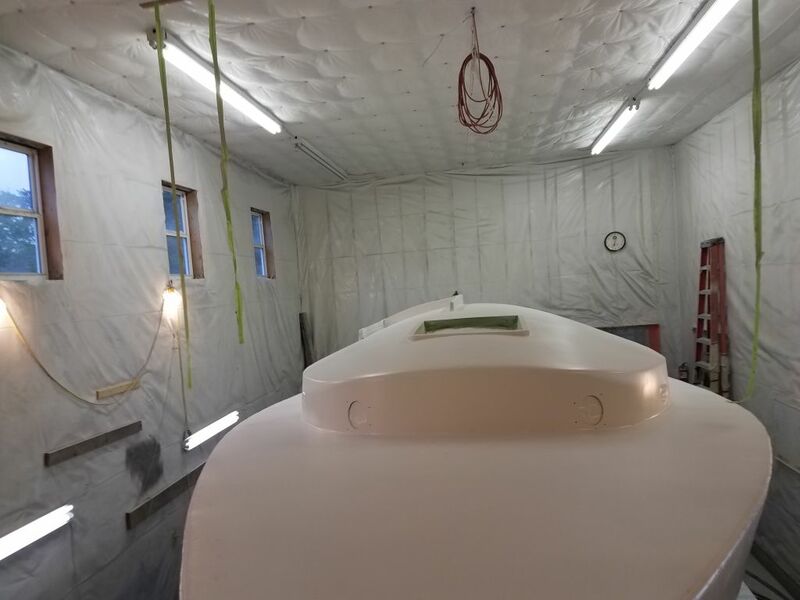 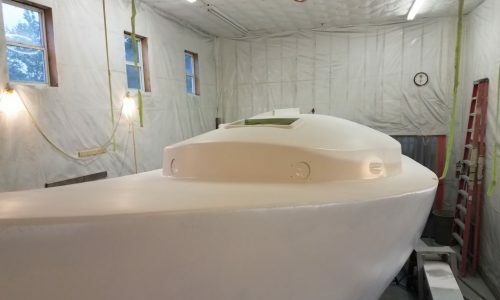 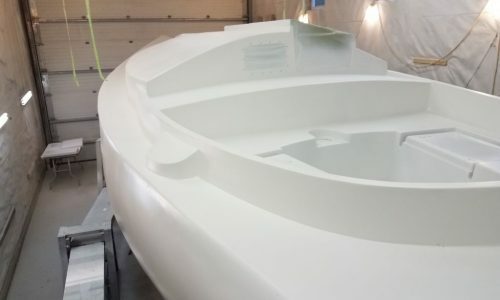 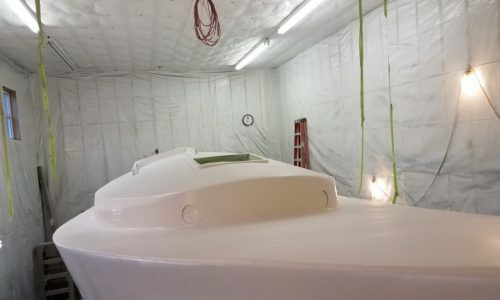 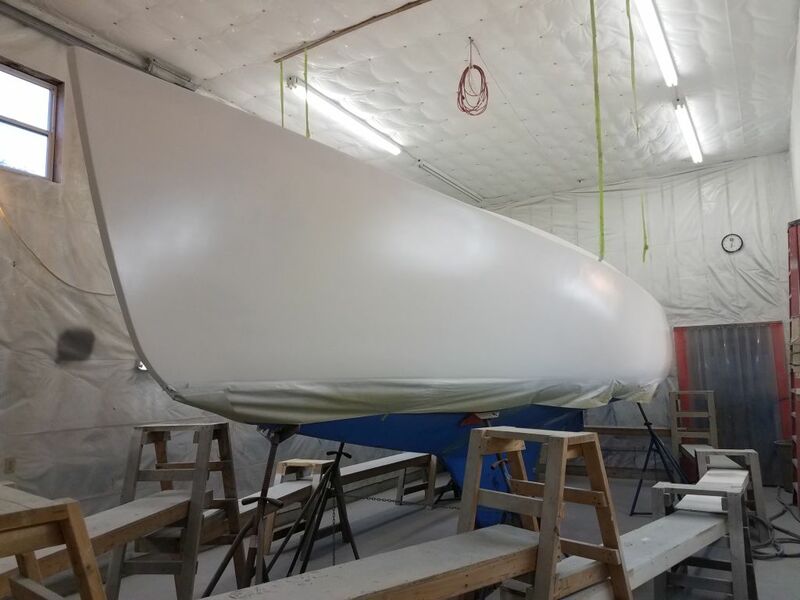 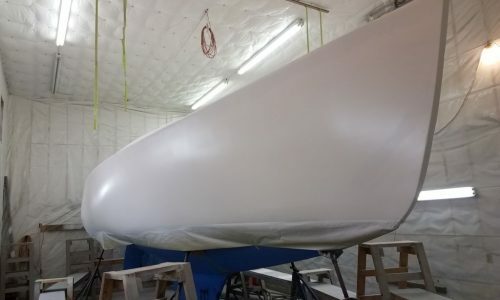 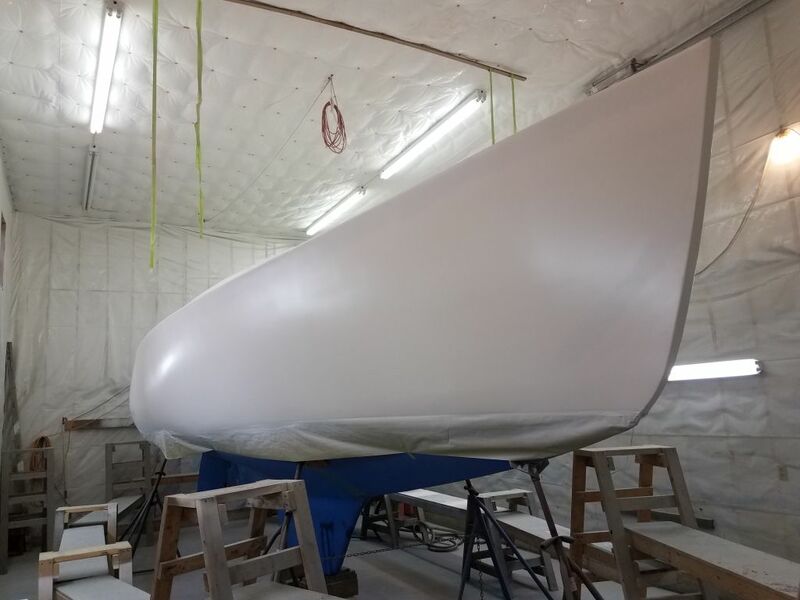 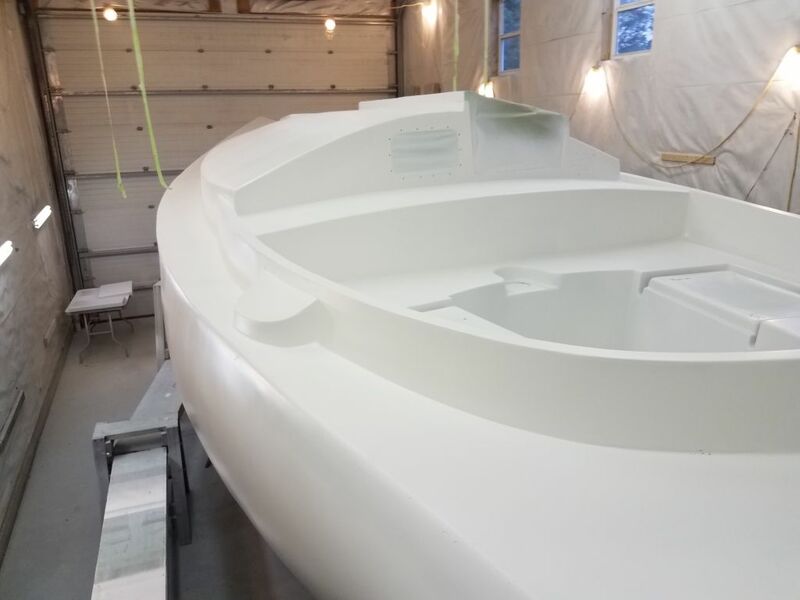 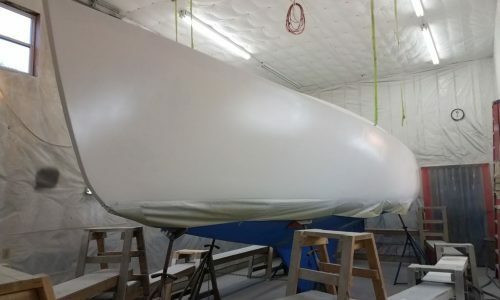 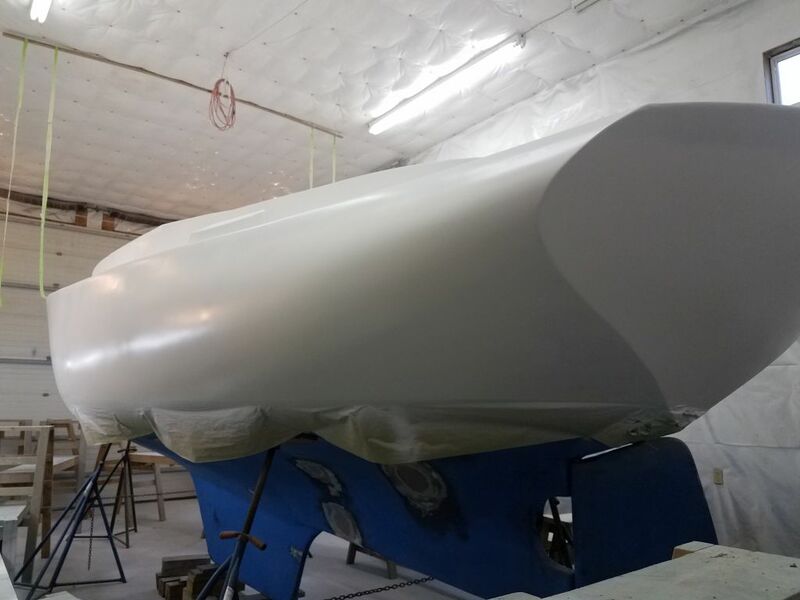 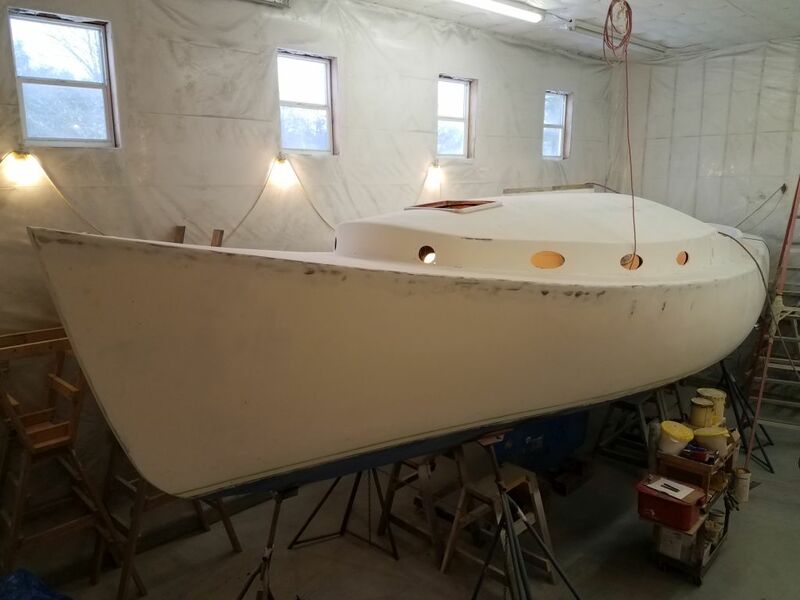 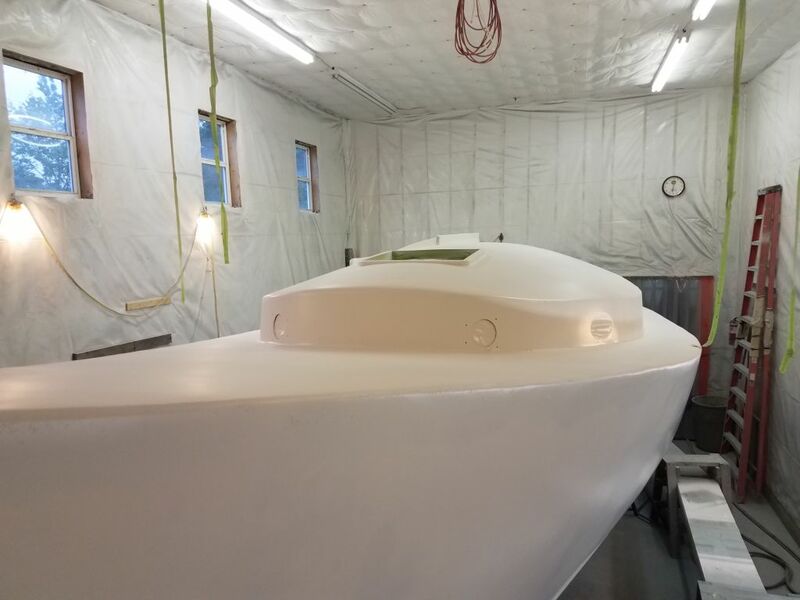 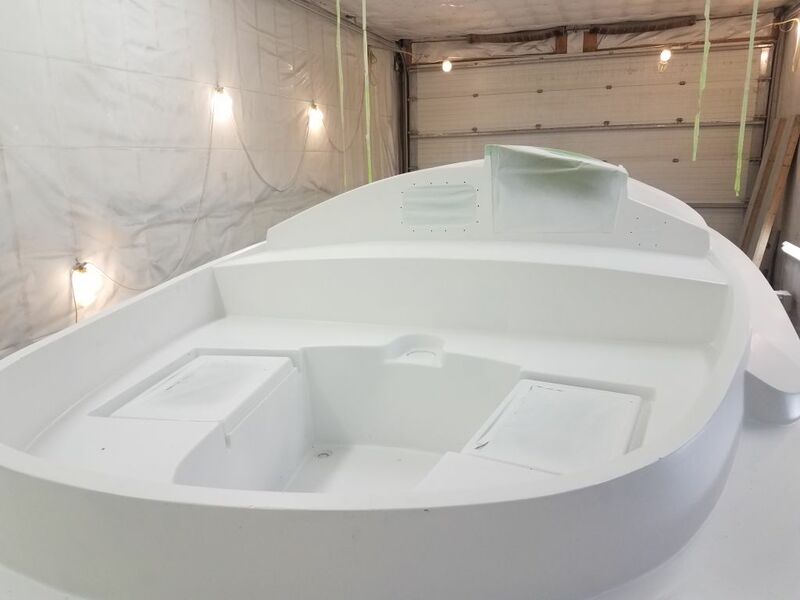 High build primer is essentially a surfacing primer, and as such represents one of the last most important steps in the hull and deck repair work and surface preparation. 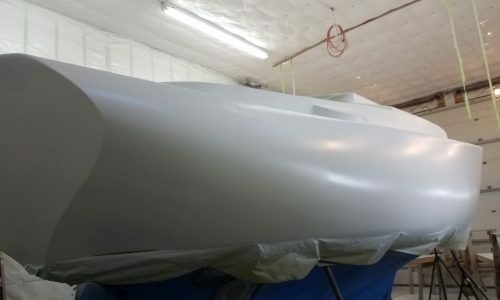 This primer helps to even out the various textures left behind during the previous work–original gelcoat, new fiberglass cloth, and fairing compounds–and serves to highlight pinholes and areas requiring additional fine filling, all of which are an inevitable part of the overall process. 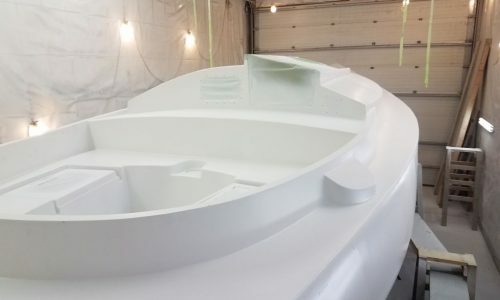 The primer is also an important psychological step, as it signals new beginnings and fresh hope, and marks a significant change of appearance of and direction in the project. 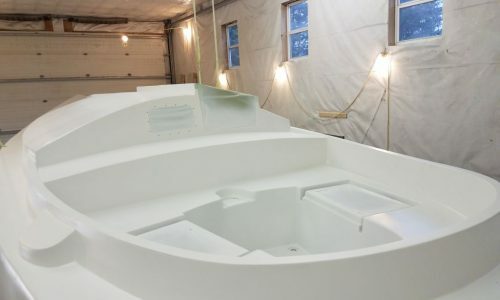 On a large, long-term project like Scupper, I like to do the high build earlier in the process and at the end of repair work, a true dividing line between structural work and finish work, and this also gives me the opportunity to approach the final fine filling and detail sanding at a more leisurely pace while continuing work on other areas of the build. 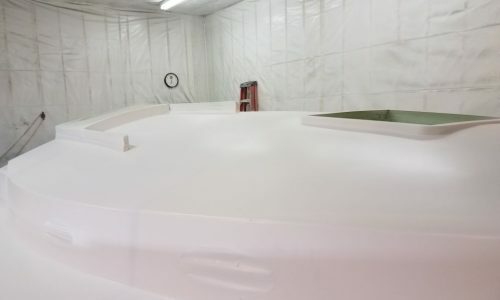 Finish primer and paint would come substantially later in the process. 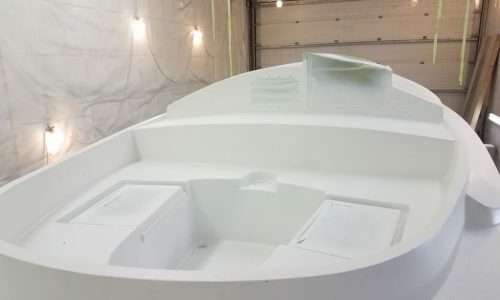 After final preparations, I began the high build application with the most central portions of the deck: the cockpit well, bridgedeck, and coachroof. 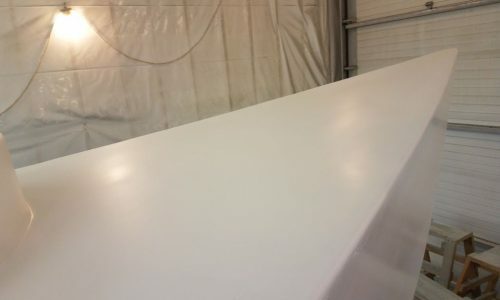 I trod upon the masking paper I’d set up previously to avoid stepping on the clean, prepped deck. 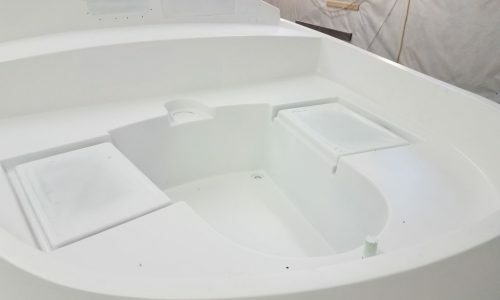 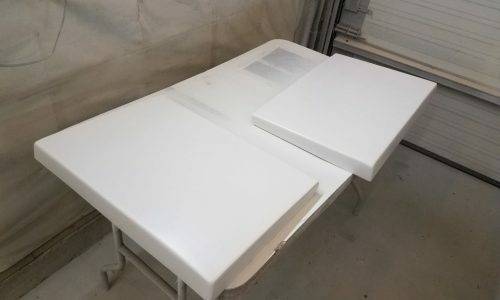 I applied three sprayed coats of Alexseal epoxy high-build primer to these areas, then removed the paper and applied three coats of the primer to the remaining deck areas, including the cockpit seats, coamings, remainder of the coachroof, foredeck, cabin sides, and sidedecks. 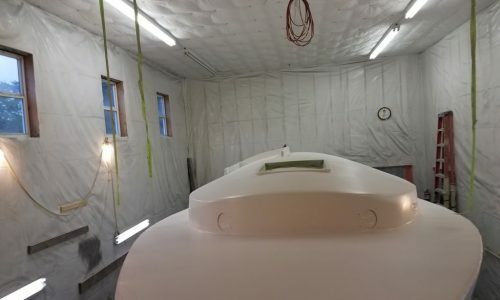 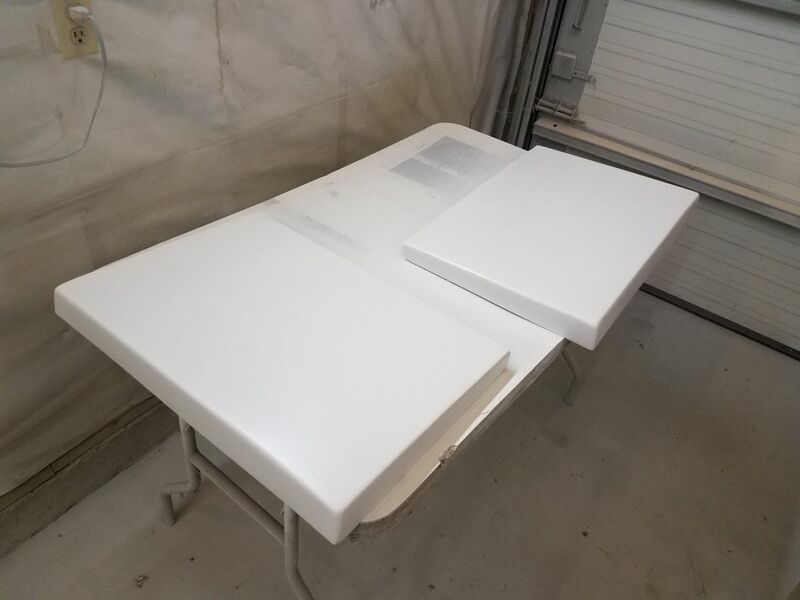 With three coats on all deck areas, I moved the staging planks down to the lower height required for hull access, and sprayed three coats of the primer on the hull as well, completing the day’s work and transforming the appearance of the boat.